♪♫Jingle-caps, Jingle-caps, Wooting all the way. It's December. ♪♫Jingle-caps, Jingle-caps, Wooting all the way. It’s December. Ho-ho-ho. The Christmas month, the time of family, warmth and the final moment of the year to throw money at things. The signature holiday. Just not so much for me in Taiwan. Not even with my Wooting colleagues. The one will be in New York and the other with his family in The Netherlands. What am I to do? Talk about 2017 and the exciting things that came out this month! 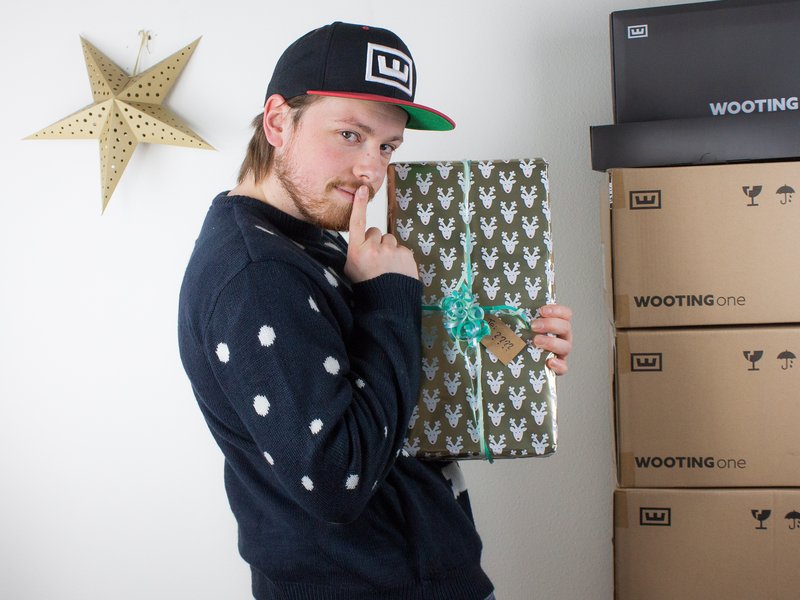 Let’s start with a very happy Merry Christmas to you all from all the Wooting guys. We hope you all will have a great time with the family or a sea of time behind the PC playing games. 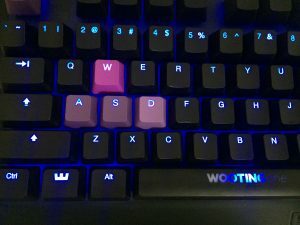 Wooting how-to videos, creating more content how to best use the Wooting one. The new, exciting, get hyped, Analog curve. We need your help to find YouTubers! ps: Don’t worry about me, I have my lovely wife to spend Christmas with and she’s all I can ask for. I talked about how it’s important to look back and facepalm out of embarrassment before. December is a great time to look back when 2018 is in sight and 2017 is nearing the end. And jeez, did we Wooting boys learn a lot. From manufacturing to basically selling keyboards online. When we entered 2017, we had announced a major delay because the Wooting one had too many risk factors to bring into a mass production. We were pretty beaten that time because we really wanted to deliver within schedule. But little did we know what was waiting for us during the first mass production. The first mass production was a colossal failure but also a major technology breakthrough. The PCB’s made at the time were shifted during its assembly and it was impossible for us to correct it afterward. In other words, we just spent a chunk of our budget purchasing 1000+ PCB that we couldn’t use! That was an extremely hectic period, fearsome, insightful and fruitful period. Everybody was hands on deck, including the manufacturer. All looking for the best way forward and finding a solution. If it wasn’t for our manufacturer’s trust in the Wooting and our vision, I’m not sure if we could have gotten through. We learned not only more about the technology, grown a stronger relationship but we also made the Analog testing “coathanger” machine. Which is now our standard quality assurance test for Analog on every single keyboard. I dare to say, it’s also the first in the world! That brought us to the second mass production. It was slow but a great success! We had officially mass produced the first ever analog mechanical keyboard. Who’d think a small 3 man company would together with their visionary backers make the first ever analog mechanical keyboards? We finally launched and delivered the Wooting one in Q3 this year. It was both a euphoria and a roadblock. We also realized that we’d been working so hard towards delivering the keyboards that we weren’t prepared enough for what’d come after and… how to generally run an ongoing business selling keyboards! That’s exactly the phase we’re in now and still learning. There’s this major balance between managing a brand, selling to distributors and managing our own e-commerce internationally, selling directly to end-users. Especially in Europe, we want to deliver local language layouts through distributors. I talked about this in more detail before but we aim to get economies of scale and deliver more local languages. Now we’re looking for distributors in France, Spain, United Kingdom and Germany. When it comes to the e-commerce store, there’s a lot more than just running the store. We’re dealing with planning large productions, major overseas shipments, holding stock, fulfilling orders, solve customer issues (…) and running advertisements. The latter being our latest interest, have you seen one pass by? Thankfully, in November we added a new team member, Tino. He’s been leading our new social marketing campaigns and helping us upkeep socials. Even though he’s an intern, he’s proven extremely valuable to us. (Tino if you read this, don’t get cocky now). Now we’re looking forward to 2018. A new year with new challenges and the future of analog keyboards. We recently started publishing Wooting how-to videos on YouTube. This is an increasing playlist with videos that explain how to use your Wooting one. You’ll also find these videos back in our knowledge base. This list of videos will increase over time. Answering most of the FAQ and covering analog profiles for all the top games. This was part a long time coming thing we wanted to do, but we had set the quality bar too high. This prevented us from actually publishing anything. I’ve recorded “Safely removing keycaps” perhaps twice before with a lot more equipment and higher quality recording but… in both cases, something wasn’t perfect or didn’t explain it well enough, you name it. So, we took a different approach. Grab a smartphone camera and just hit record! And it’s working out pretty well. We’re able to make these videos extremely fast with reasonable quality. The new analog curve released! The new curve is a lot more clear, has a lot more control mechanisms and you can do some entirely new things with it. If you haven’t played around with it yet, you’d definitely want to check out this how to video. Two use-case examples are inside. One in Overwatch and one in CS: GO. The next improvement for the curve is that we’ll add top-game presets. So it’ll be a lot easier for first time users to get the most out of it. As you might know, we want to make a 9-set keycaps for the WASD, arrows, and Escape. It’s a small project in the works for a little while. It’s been an absolute hassle to get the right color purple with the manufacturer. In the end, we sent them the Pantone flyer we’ve used as a reference and they did an excellent job this time. We want to make this set available for purchase in Q1 2018. But what are your thoughts on the final color? A purple you like the most, different purple better, or should we take this a totally different (color) route? We can really use your help on this one. You might have noticed that we ran a Christmas giveaway Facebook. We were happily surprised with the participation and already announced the winner. We plan to host more giveaways in the future. So, don’t feel bad if you missed out. Erik spend his whole afternoon and made over 100 photo’s for the giveaway. But I want to share the most cringy he made. The last Wooting live stream in 2017. We will recap 2017 with you, talk about our plans for 2018 and host the notorious Wooting Quiz! Of course, you can win some awesome stuff this quiz. Including our new, not released, exclusive samples, Wooting 9-set doubleshot-PBT keycaps and more. Be sure to tune in on 31 December, at 13:00 GMT+1 and follow our twitch channel. There’s been a small pause on our side contacting YouTubers, but this 2018 we want to go heavy on reaching out. We want to ask your help, can you recommend any tech/review/game related YouTuber you enjoy watching or trust with your wallet? We’re interested to know! As always, let us know what you think and share your opinion. We are always here. Several months ago, you sent out a survey asking for our feedback, you said those feedback results would be shared in the next blog post. This is now at least the second blog post since then and you have yet to post those feedback results. I realize you guys have been very busy, but I am very curious to see those results! Can we expect to see those sometime in 2018? Thanks for notifying this. We went over the results during the livestream but I forgot to add it to the up following blog! My mistake. I’ve added it now as one of the topics for the next update news. Hi Ron, Just wanted to let you know we released those survey results in a separate post. I’d like WASD keycaps identifiable by touch, but with the same black color as the other keys. Would you go for those rubberized keycaps in that case? I personally think a grey set of keycaps would complement the keyboard’s minimalist design the best and wouldn’t clash with anyone’s color setup if they already have a theme going. Maybe gunmetal or charcoal or something like that. As for youtubers, I definitely think either TaeKeyboards or Chyrosran22 would do your keyboard the most justice. Both of these guys have an insane knowledge and appreciation for innovative keyboards and are also pretty highly regarded in the enthusiast community. Their channels aren’t that massive, but I would definitely check those guys out if you’ve got the time.